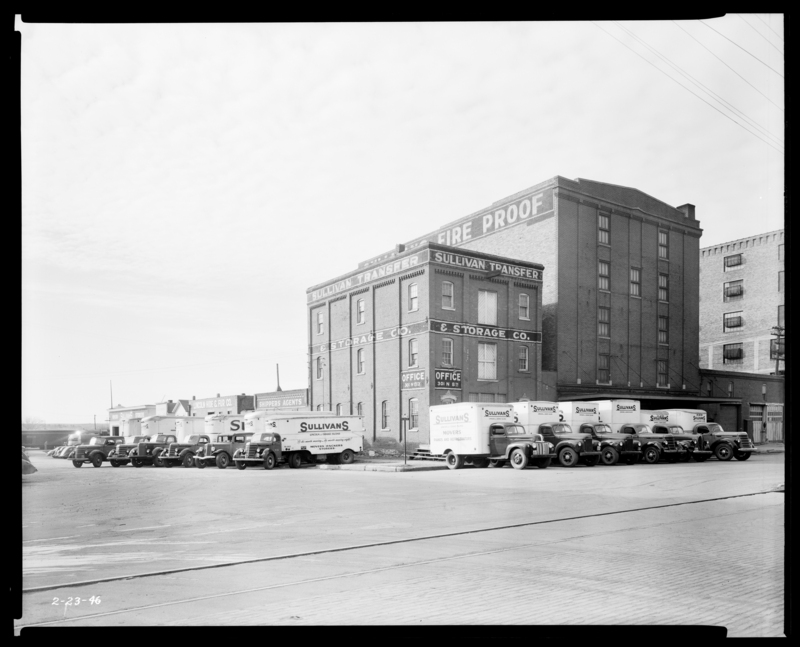 Built in 1916 on part of the Seaton & Lea Foundry site, this sturdy warehouse was built by Olson Construction Company and designed by the architectural partners Fiske & Meginnis, combining the district's most prolific contractor and designer. The brick-clad structure is massively built of reinforced concrete to carry the heavy loads of a moving and storage operation. On the fourth floor were specially heated rooms for the safe year-round storage of pianos. The building is one of the few in the Haymarket to continue in a single function (though for various owners) from its construction until the Haymarket’s revitalization. Jeff Lewis led the 1994 renovation into offices and retail space in the basement and first floor, and apartments above. The single-story building south of the alley has been altered repeatedly, most recently in 2014 with the addition of storefront windows to accommodate retail shops. The façade had been windowless for much of the second half of the 20th century, but before that had large doors and windows as part of the moving and storage complex, and earlier as part of the ironworks.